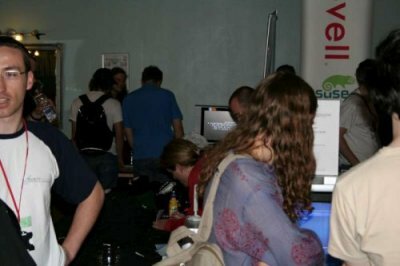 In the spring of 2006 we attended the Lug Radio Live conference in Birmingham where we had a stand in the exhibition hall. If you were there we were squeezed in between the O'Reilly books and the SUSE boys (we allowed them to use our power supply). 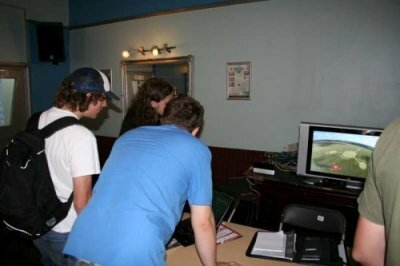 This was the first time we had exhibited at an event and it was interesting. We jhust loved the enterance to the hotel car park. 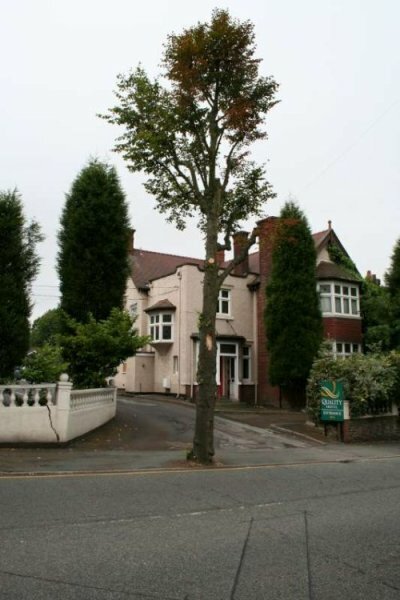 The tree must have been there first, so why build the entrance behind it? Matt demos some code to various bemused and interested parties. Same thing but taken from across the hall.